This entry may look extremely out of place, especially when both the title and the body of this entry are written in English/ Japanese, and not a single Arabic word is used. 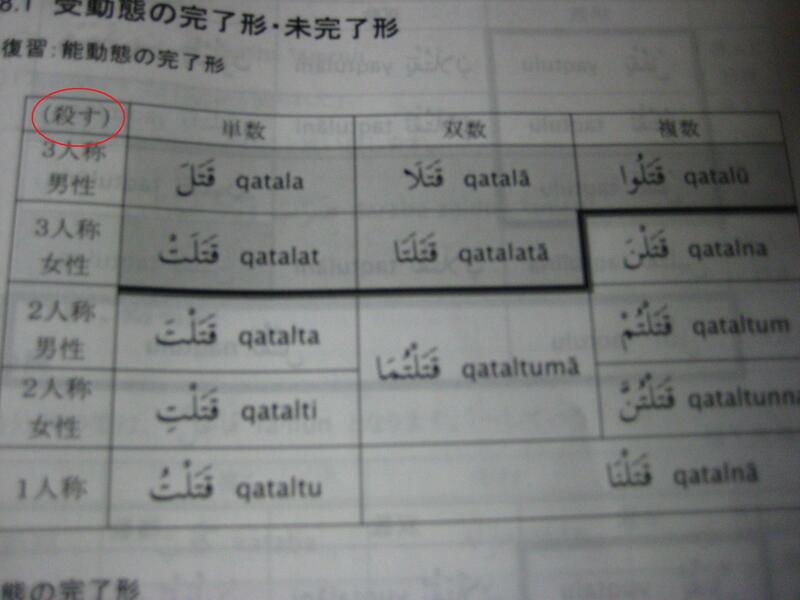 I am constantly amused by my Arabic textbook everytime I flip through it. 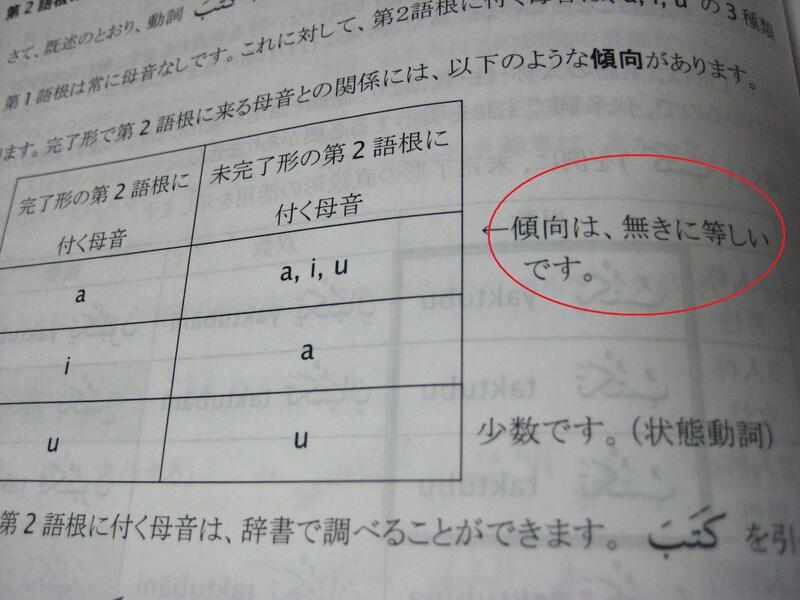 It’s written by my teacher, who teaches at Tokyo University of Foreign Languages too. Let me show you some examples. 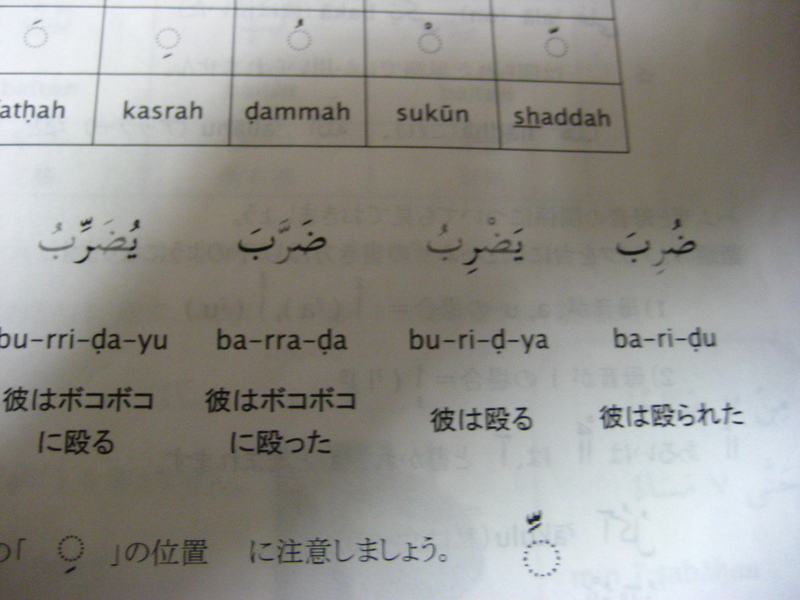 This is a page in the first few lessons when we were learning about pronunciations. When are we going to use these phrases??? When we were learning passive voice of verbs, to illustrate the conjugation of verbs in this form, the word “to kill” was used. As we were learning how to change a verb from past tense to present tense (or a similar form), the teacher was telling us about all the possibilities of modifying a verb. After all the explanation, she said “Oh well, there really isn’t a rule to all these changes.” That means, many of the verbs differ from the “rule”!! Also, in Arabic, when changing from past to present tense, not only the end of the word changes, the front part of the verb changes too. And all these make it a real pain to remember!! haha. no wonder they so violent. bash.. kill…!